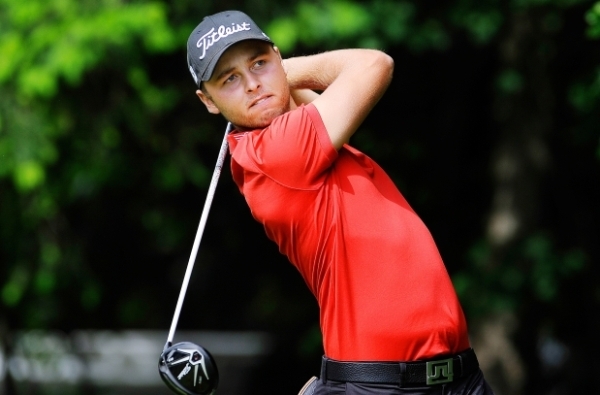 Palm Beach Gardens, Fla. – Canadian Adam Svensson cruised to a seven-shot victory on Sunday at PGA National Resort & Spa to earn medalist honors at the Web.com Tour Qualifying Tournament. The 21-year-old from Surrey, British Columbia, carded a 1-over 72 on the Champion Course for a 20-under-par 266 total. Jason Millard (70) and Ian Davis (69) took home a share of second at 13-under 273 and head a list of players from Nos. 2-10 who will be exempt through the third reshuffle. Former Auburn standout Dominic Bozzelli (70) was alone in fourth at 12-under 274. With the wind whipping through Palm Beach Gardens most of the day, Svensson could feel the pressure of being in contention weighing on him. The former Barry University Buccaneer made key saves throughout the final round, which allowed him to maintain his hefty lead. When he two putted the 72nd green for par, Svensson exhaled and realized he was one step closer to his dream. With the 2016 Web.com Tour Regular Season set to begin in Panama City, Panama, at the Panama Claro Championship in late January, Svensson’s mission is clear. “My goal is to win out there and get my PGA TOUR card,” He said. Svensson’s ambition doesn’t stop there. The Golf Canada Young Pro Squad member would cherish the experience of playing in the summer games next year. Svensson is the second consecutive Canadian to win the Web.com Tour Qualifying Tournament. Edmonton native Brad Fritsch posted 27 under par last year in 108 holes to win by seven shots over Andrew Landry. In all, six Canadians secured status Sunday. Albin Choi of Toronto (T14); Taylor Pendrith (T14) of Richmond Hill, Ont. ; Benjamin Silverman of Thornhill, Ont. ; Mackenzie Hughes (T21) of Dundas, Ont. ; and Ryan Yip (T34) of Calgary will all have status thru the tour’s second re-shuffle. 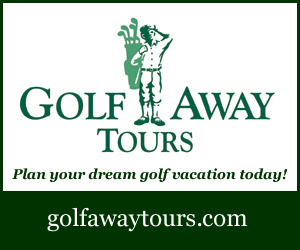 The Web.com Tour Qualifying Tournament is a four-day, 72-hole competition that ended on Sunday, Dec. 13. The tournament was contested at the PGA National Resort & Spa’s Champion Course (CC) and Fazio Course (FC). The Champion Course has played host to The Honda Classic on the PGA TOUR since 2007. The Fazio Course plays to a par-72, while the Champion Course plays to a par-71. The famous stretch of golf that consists of holes 15-17 on the Champion Course, known as “The Bear Trap,” once again provided players with a tough test. The par 3s (Nos. 15 and 17) tied for the second toughest holes between the two courses, while the par-4 16th finished as the fourth toughest. Players in this event competed for positions on the 2016 Web.com Tour priority ranking, which will be used to form tournament fields. The medalist is guaranteed fully-exempt status next year. Players #2-10 (and ties) will be subject to the third reshuffle next year and players #11-45 (and ties) will be subject to the second reshuffle. This week’s medalist earned $25,000. Players #2-10 (and ties) earned $15,000 each. Players #11-45 (and ties) earned $10,000 each.